The construction of this acrylic lamp provides a marvellous light reflection. Thanks to Trotec Laser for letting us replicate this! 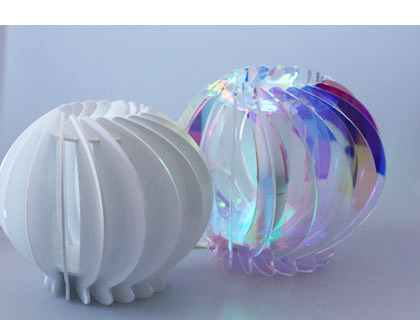 You can now create this unique decoration with your laser cutter and experiment with light and shade. We used Evonik’s “Radiant” plexiglas. Why not try using different acrylic colours? 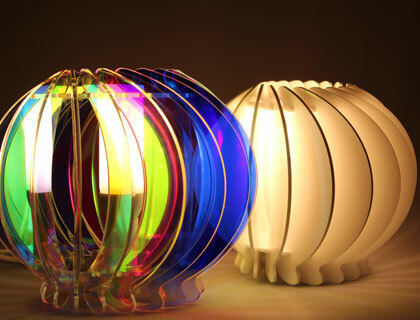 Assembling the acrylic lamp is easy. The assembling instruction helps. Download the PDF file here (can be opened in Corel Draw).